Customization: Yes, accept OEM color and design Application For children,sports,toys,craft,garage Products Show Our Service High quality Passed the ISO9001:2008 quality system authentication and ROHS authentication. High quality Passed the ISO900quality system authentication and ROHS authentication. High quality Passed the ISO9001:2008 quality system authentication and ROHS authentication. The kneeling bench helps reduce stress and fatigue on your back and knees. We have professional designer to help your brand promotion. 3. Is the sample available9 Yes, samples are available for you to test the quality. 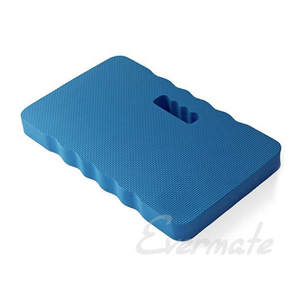 full printed eva foam kneeler pad EVA pad is well-known as it is lightweight for carrying around. Sometimes you can travel around with an EVA pad conveniently when you are kneeling on hard surfaces such as asphalt, concrete, grating, gravel or wood. 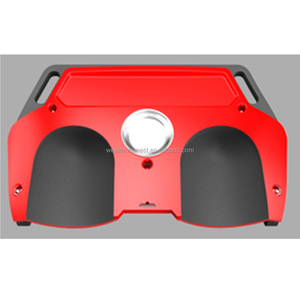 The main material is foam EVA (Ethylene Vinyl Acetate), which is eco-friendly, non-toxic, PVC-free, non-latex. Ningbo Nanyee Rubber & Plastic Co., Ltd.
Zhejiang C&G Garden Tool Co., Ltd.
Hebei Eastsun International Trading Co., Ltd.
foam customize size garden kneeler Product Features &bull; Comfy kneeling &bull; Provides strong sole support &bull; Carry or storage handle &bull; Anti fatigue,no-curl, beveled edges that reduce tripping potential Stain resistant and easy to clean without any residue. 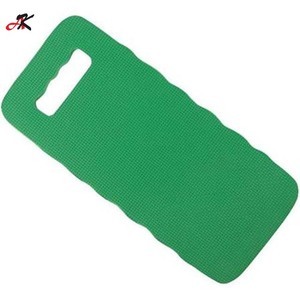 Item Kneeling Mat Size 40*24cm,customized size Material NBR foam Color customized color Printing dyeing Pattern OEM Usage floor, reduce overall fatigue, relax feet Feature Anti fatigue,no-curl, beveled edges that reduce tripping potential Stain resistant and easy to clean without any residue. Our services 1. We are professional in producing headwear; 2. We can offer you free samples; 3. We can offer you quickest quotation after receiving your quotation; 4. We can offer you best quality products; 5. We can deliver goods on time. 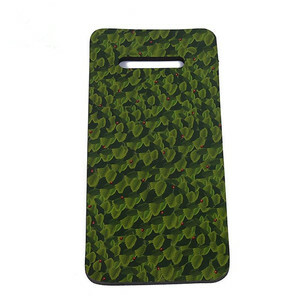 Nantong Jiawei Mat Technology Co., Ltd.
All material and printing ink are eco-friendly. We have a very strict system for QC to control the quality of each item. 1)Stocked products: can be sent immediately.